Welcome to Besatzfisch - Stocking project! 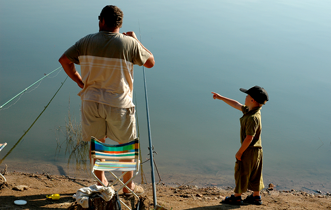 Recreational fishing constitutes the dominant or sole use of freshwater fish stocks in industrialized nations. 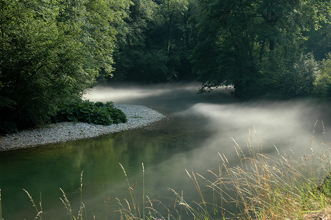 In Germany, angling clubs play a key role in freshwater fisheries management. A very common management tool used by anglers is fish stocking. The aim of Besatzfisch (German: stocked fish) is to evaluate fish stocking from ecological, economic and social perspectives. Therefore, the project cooperates closely with German angling clubs. The research design of the social ecological research project is both interdisciplinary and transdisciplinary. Fish stocking describes the process of introducing cultivated or wild fish into different water bodies to support the existing fish stock or to reintroduce fish species. In Germany, angling clubs are the main owners or tenants of inland water bodies. According to German law they are not only allowed to harvest from these waters, but they are also obliged to manage these water bodies. 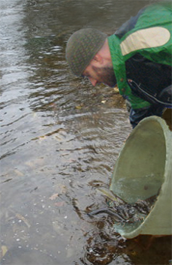 A systematic evaluation of fish stocking as a management practice is currently lacking. The debates about the potential positive and negative impacts of fish stocking are quite diverse. The primary goal of Besatzfisch is to contribute to sustainable fisheries management, by integrating academic research with stakeholder knowledge and experience. To achieve this goal, biologists, fisheries scientists, sociologists, psychologists and system scientists work hand in hand with angling clubs. The project deals with a perfect example of a coupled social ecological system. For this reason, it is also a very interesting topic for non fisheries researchers. Besatzfisch is financed by the German Federal Ministry of Education and Research (BMBF) from 1 January 2010 until 31 December 2013. Project leader is Prof. Dr. Robert Arlinghaus from the Leibniz-Institute of Freshwater Ecology and Inland Fisheries (IGB) in Berlin and the Humboldt-University of Berlin . Besatzfisch is based at IGB Berlin.